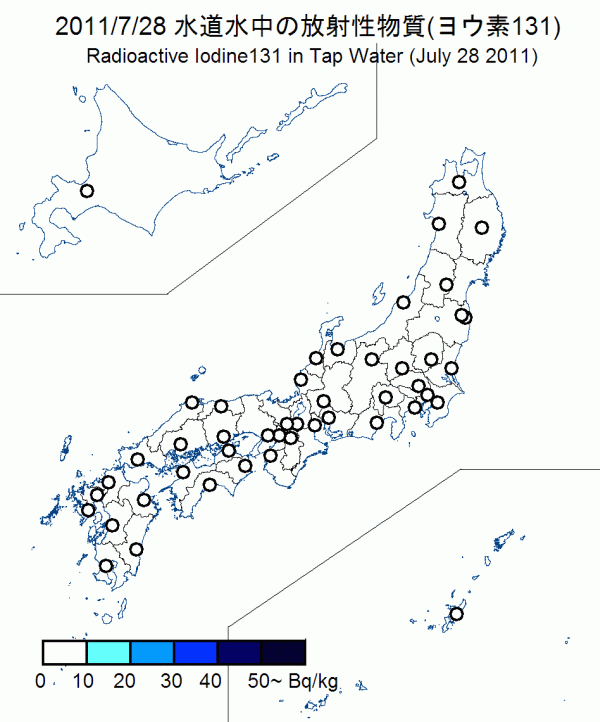 Among the data of radioactive substances in tap water released from various agencies, the concentrations of radioactive Iodine 131 in individual prefectures are shown in this map. We update the map so that you may monitor the changing situation. Substantial amount of radioactive Iodine 131 has been emitted into the air since the disaster at the Fukushima nuclear power plants. As a result, the radioactive Iodine 131 has also been found in both in vegetables and tap water, causing public concern. The Ministry of Health, Labor and Welfare announced that infants should NOT consume tap water that contains 100 Bq/kg of Iodine 131. (300 Bq/kg for adults.) 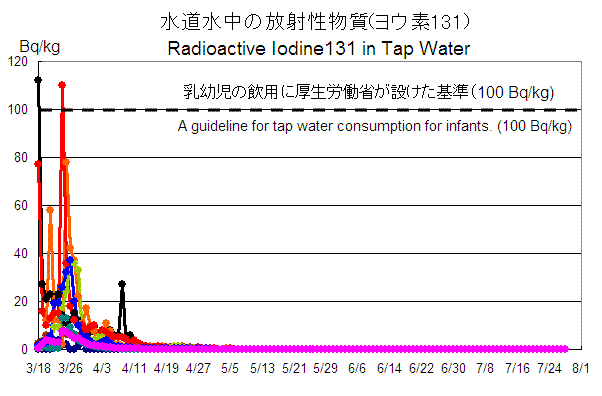 There is no Iodine 131 found in tap water in some areas of Eastern Japan. Other than Fukushima prefecture: Ministry of Education, Culture, Sports, Science and Technology. Fukushima prefecture: Fukushima Disaster Management Headquarters.